In a Nutshell: The SALT Program, introduced by the American Student Assistance (ASA) organization in 2011, is a nationwide effort to educate future, current, and former students on how to pay for college in a financially responsible way. The SALT Program partners with more than 300 organizations, including schools, colleges, universities, and nonprofit groups, to bring financial education right into the classroom. The program boasts many successes, including one statistic that found students who engage with SALT are three times less likely to be delinquent on their student loans. I was at a nail salon last week getting a pedicure, one of my favorite bi-weekly indulgences, when I overheard a conversation between two women also enjoying the pleasures of a little professional nail care. One was giving med-school advice to the other, who was just beginning her pre-med studies and chatting about the prestigious universities she hopes to attend after completing her undergrad. I also used student loans to pay my way through college, but I was lucky enough to escape below the national average of $35,000 borrowed when it was all said and done, so it was difficult for me to wrap my brain around the size payment she would soon be facing – a mortgage without the house. There’s so much to consider when using loans to finance school, like your field of study and how much you expect to make out of college compared to your projected monthly payment, which you’ll be carrying around for 10 years post-grad, more or less. Then there are the different loan types, the rates and terms that accompany them, the repayment plans…this is an awful lot to consider for someone fresh out of high school who’s not focusing on the responsibility, but the possibility, their future holds. Regardless of the exponentially increasing costs of higher education, it remains one of the best investments you can make. Four-year grads earn about $1M more over the course of their lives than those without a degree, and is why the SALT Program from the American Student Assistance (ASA) organization aims to educate future, current, and former students on how to pay for their educations in a financially responsible way. SALT (not an acronym, but rather a reference to when salt was used as a form of currency), was launched in late 2011 as an educational resource for people who are ultimately making decisions about paying for college, whether before or after schooling, says Allesandra Lanza, Director of Corporate and Partner Communications at ASA. 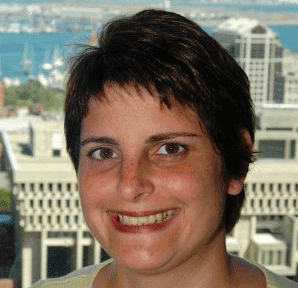 Allesandra Lanza is the Director of Corporate and Partner Communications at ASA. “As a student loan guarantor, we [the ASA] have years and years of experience working with the student loan borrower, and those decades of experience helped us to create the SALT Program, which is, in essence, a financial education program that’s really targeted to people who are making decisions on how to pay for college, who are in college, and those trying to figure out the best way to finance it,” she explained. SALT also assists people who are making the transition into the workforce, helping them to manage their student loan payments and live healthy financial lives. The SALT Program has more than 300 partner organizations consisting of schools, colleges, universities, and nonprofit organizations to help bring financial education right into the classroom. Joanne Dashiell, Manager of Professional Services at ASA, works to get campuses engaged with SALT. “Our partners do a number of different things to roll the SALT Program out on their campuses, and one of the most effective opportunities that we’ve found so far is (bringing it) right into the classroom,” says Joanne Dashiell, Manager of Professional Services for ASA, who helps get campuses involved in the SALT Program. “We have a lot of general education course facilitators, instructors, and faculty members who are introducing SALT in a number of different flavors. Some of the colleges that we work with are encouraging students, or even requiring students, to take some of our financial education courses,” says Joanne. With any endeavor, there has to be a measure of success to scale your efforts. 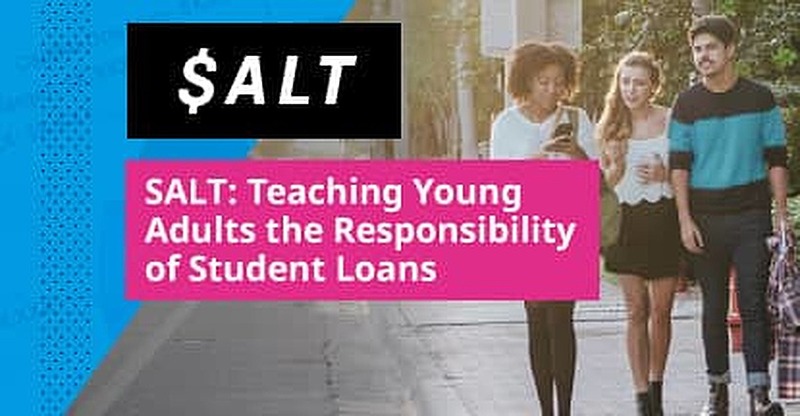 SALT has found that students who engage with their program are three times less likely to become delinquent on their student loans. Furthermore, SALT boasts numerous success stories of students who’ve overcome their burdensome student loan debt with help from the program, like Gabe here, who paid off over $100,000. In addition to SALT’s classroom courses, the program provides resources on its site that help borrowers visualize the impact loans can have on their long-term financial situations, as well as over 1,600 content elements and tools geared toward different stages in one’s financial life. For instance, SALT provides a repayment calculator that allows future college students to compare potential earnings in their career to how much they’ll need to borrow to obtain their degree, and then see if it’s an amount they feel comfortable repaying. For students already in school, SALT has a “Know What You Owe” tool that allows students to track their borrowing. “The idea is that if they track their borrowing, they’ll be more mindful about that process and only borrow what they need. 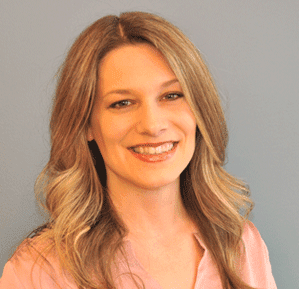 It helps to prepare them well for the repayment process,” says Joanne. SALT also provides an online community where anyone with financial questions can turn to for answers from their peers who may have shared similar experiences. “We have a community on the site that allows people to go on and ask questions or share what they’ve learned, their financing successes that they’ve experienced, or financial obstacles that they’ve overcome; and that’s when you really learn something, when you’re able to share your story with your peers, family members, and friends. We want to provide that opportunity,” she explained. Higher ed is still a big part of obtaining the American Dream, says Allesandra. Along with earning on average $1 million more over their lifetimes, college graduates lead healthier and more civically engaged lives. But due to crippling amounts of debt after graduation, the typical American Dream consisting of the white-picket-fenced home in the suburbs, a good job with a steady income, marriage, and children is occurring later in life than we’ve seen in previous generations. Are student loans to blame? Are millennials putting aside big purchases, like mortgages, and delaying saving for retirement because they can’t afford the payments? And what ramifications does this have on our economy? This has yet to be seen, but according to “Life Delayed: The Impact of Student Debt on the Daily Lives of Young Americans,” a study conducted by the ASA, 75% of respondents indicated that their loans inhibited their ability to purchase a home. The SALT program and the ASA strive to make education affordable for all, and believe that by promoting financial literacy within high schools and college campuses across the nation, students will have a better understanding of how to pay for school responsibly. The ASA wants to help students achieve their American Dreams in a financially sound way, and without having to delay their aspirations due to financial burden. I don’t know that any of us are actually ready for adulthood once we realize we’re in it and there’s no going back, let alone the financial responsibility of it all. That’s why the SALT Program, whose sole mission is to help young adults in their financial lives, is such an invaluable and generous resource that more should take advantage of. I still have seven years of loan payments ahead of me, and the payment amount increases (substantially) every three years, because that’s the repayment plan I chose, living on good faith that my income would increase in conjunction with my career experience. Everyone eventually needs to face their student loan debt – even future doctors who are already $300,000 in the red — and choose a repayment plan that works for them and their vision of the American Dream, and SALT can help with that.